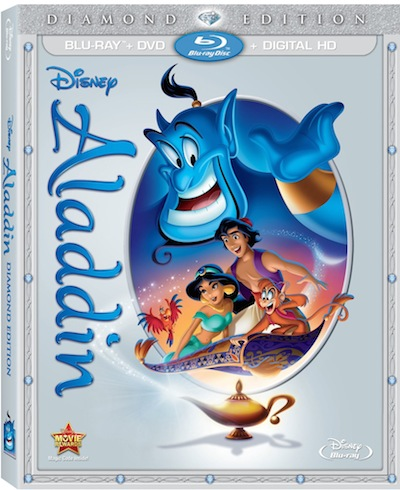 Disney’s “Aladdin” Diamond Edition is now on Blu-ray! I must say it’s about time! We all remember this beloved tale from the 90’s about a genie with the funniest jokes ever aka Robin Williams whom we all miss dearly. This is one of those newer Disney classics that beats to a different drum. It’s a fun film and chocked full of magnificent musical numbers that we have grown to love. Lots of emotions, life changes and finding oneself among the silliness and lightness of Genie, Aladdin and Princess Jasmine. This film has been brushed up into true Blu-ray fashion. The animations look new again and are brought up to today’s technology. There were so many bonus features that I really enjoyed. Genie Outtakes and Aladdin: Creating Broadway Magic were really great. Needless to say I am really excited to add Aladdin to my Disney movie collection! Aladdin is out for release on Disney Blu-ray in stores and is available on Disney Movies Anywhere, and iTunes. Synopsis: Disney’s beloved masterpiece will make your heart race and your spirit soar. Experience the laughter, adventure and Academy Award®-winning music (1992: Best Music, Original Song, “A Whole New World,” Original Score) for the first time on Blu-ray and Digital HD. 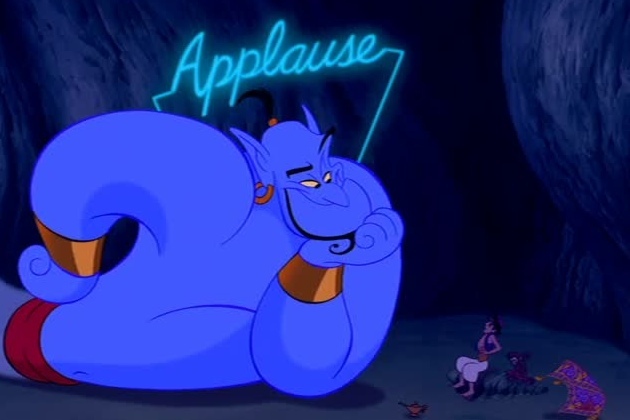 And now Aladdin shines even brighter with never-before-seen tributes to the enchanting talent of Robin Williams, the “Genius behind the Genie”. DMA Exclusive: Deleted Song – “My Finest Hour” – Jafar takes the stage in this never-before-seen deleted song. Includes intro from Ron & John.